Glad You Asked: So you think you have found a meteorite! Now, how can you verify your find? Fragment of the Gunlock Meteorite. The polished slice through meteorite reveals it’s distinctive chondritic texture and fractures possibly due to impact with the surface of the Earth. More information about meteorites and how to identify them (or not). You found a strange rock. It is heavy, dark colored, and magnetic, so you are thinking it must be a meteorite from outer space. You visualize it falling through the air in a blaze and landing right where you can find it. You are going to be rich! A meteorite is a solid object that has traveled through the solar system and landed on the Earth’s surface. The odds of finding a meteorite are slim even if you see it fall. Many objects initially thought to be meteorites turned out to be space or aircraft junk, and even metallic pieces of wood chippers. The more than 50 meteorite types are grouped into three broad categories: stony, iron, and stony-iron. Most meteorites come from the asteroid belt. The remainder includes rocky debris from the heads of comets that have melted and broken apart, and rock fragments originating from the Moon and Mars. 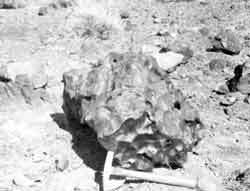 Stony meteorites closely resemble Earth sandstones or conglomerates, iron meteorites are obviously metallic, and stony-irons have metallic and non-metallic components. Meteorite identification is frustrating because almost all the identification rules have exceptions. The following guidelines may help you determine if you have a meteorite. Does the rock have a fusion crust? As meteorites descend through the Earth’s atmosphere, they burn and form a thin crust of melted rock. The crust’s color is usually dark brown to black. If the meteorite has been on the Earth’s surface for some time, weathering turns the meteorite surface to more of a rusty brown color. How does the appearance of the rock compare with surrounding rocks? 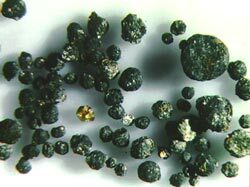 Meteorites are black or dark brown, rather smooth, with no gas holes; often, meteorites look very different from the other rocks lying nearby. If the answer is no, then it is probably not a meteorite. Almost all meteorites (even stony) will be attracted to a magnet due to their iron content. Because some Earth minerals are also magnetic, this test is not conclusive. Is the rock heavy compared to other rocks of the same size? Meteorites are dense and feel heavy due to their metal content. Does the rock surface have shiny spots that look like untarnished silver? 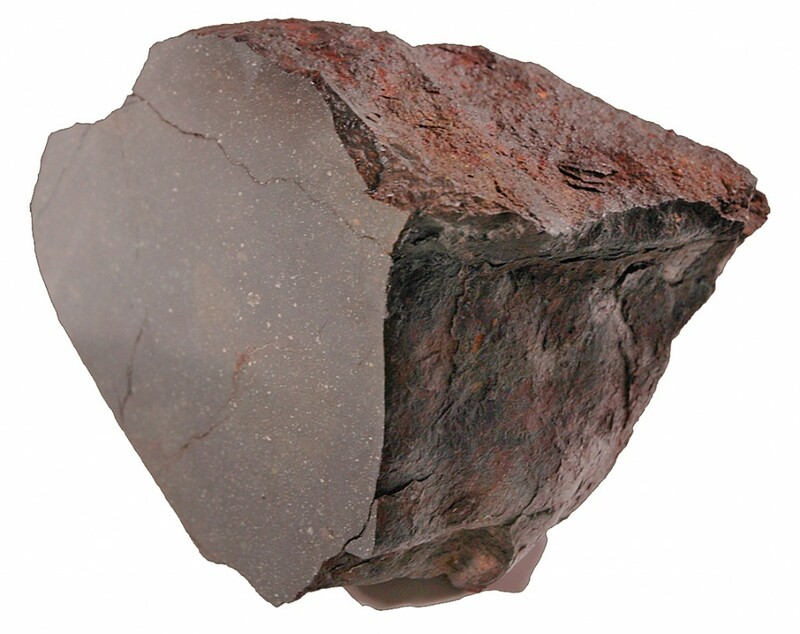 Meteoritic iron doesn’t tarnish or rust because it forms in an oxygen-free environment. Does the rock have a streak? Streak is the color of the powder produced when the rock is rubbed on white unglazed porcelain such as the bottom of a coffee cup or ceramic tile. For example, magnetite (a magnetic, iron-bearing mineral common in igneous rocks on Earth) has a black streak. 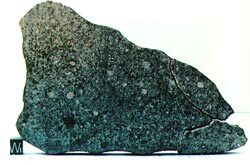 Meteoritic iron does not have a streak unless it has been lying exposed on the Earth’s surface for a long time. Energy News: A New Uranium Boom?